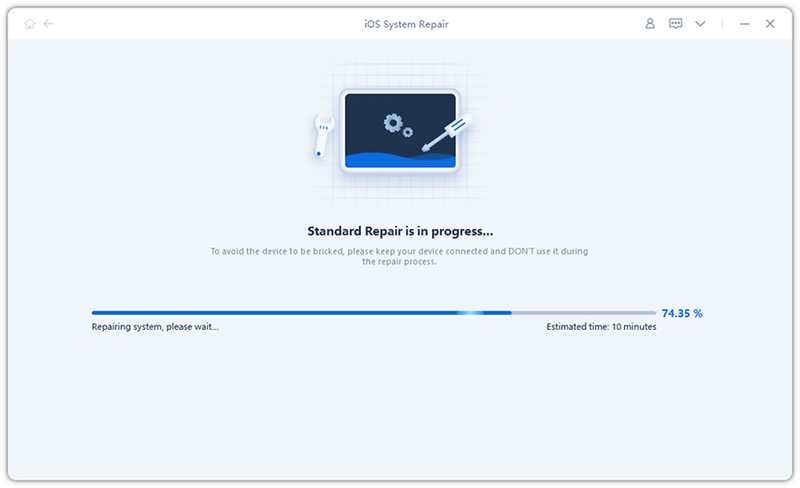 At this time, you can use Tenorshare ReiBoot – a professional iOS downgrade software, which can 1-Click to downgrade to iOS 10.3.3 from iOS 11 without iTunes. Free Download and install this amazing tool to see how it works. Run Tenorshare ReiBoot and connect your iPhone to PC/Mac. The program will detect your device automatically without tapping Trust. Click Fix All iOS Stuck, then just click Download button and the program will automatically download iOS 10.3.3 firmware online. And your iPhone will get back to iOS 10.3.3 successfully after finishing firmware download and system repair. If you still concern about downgrading to iOS 10.3.3 from iOS 11 beta 5, you can watch the video below to see the exact operations on downgrading iOS 11 Beta to iOS 10. And this powerful program can also fix all iOS stuck issues like iTunes logo, Apple log, black screen, blue screen, etc. on iPhone/iPad/iPod without any data loss. This post has shown the quick and easy way to install iOS 10.3.3 from iOS 11. Hope it is helpful when you want to remove iOS 11 Beta from iPhone and downgrade iPhone to iOS 10.3.3. If you have any further concerns, please just feel free to discuss in the comment section below. Downgrade iOS 11 to iOS 10. No Data Loss, No Restore.